If you or your child have been referred for a diagnostic audiologic evaluation, it means that hearing loss needs to be ruled out or further examined. The diagnostic audiologic evaluation may be indicated for individuals who did not pass an initial hearing screening. The evaluation is done to determine if a hearing loss is present, and if so, to detail the type and severity of the hearing loss. It also may provide insight into the cause of the hearing loss as well as provide guidance for the audiologist in making appropriate treatment recommendations. The specific tests done during the evaluation will depend on the patient’s age, and what is known already about their hearing status. These various tests will the degree of hearing loss, the type of hearing loss, and the conditions of the ear canal and middle ear. The audiologist will also determine if the hearing loss is conductive (middle or outer ear problem) or sensorineural (inner ear problem or central processing difficulty of the brain). A diagnostic hearing evaluation is the first step in determining your hearing capability. If you have a hearing loss, it will detail the extent, type, and specifics of your particular hearing loss. The diagnostic hearing evaluation will be performed by an audiologist, usually in his or her office, using equipment called an audiometer. The diagnostic hearing evaluation is covered by most health insurance policies, though you may need a referral from your primary care physician to quality for coverage. Diagnostic hearing evaluations identify hearing loss, and give your audiologist important information to help determine the best course of action for treatment. Some types of hearing loss can be treated medically or surgically, so it's important that these types of hearing losses be ruled out before hearing aids or other treatments are considered. If it is determined that you could benefit from hearing aids, the diagnostic hearing evaluation helps your audiologist know which hearing aids will be most appropriate for your needs. Before your appointment, a complete medical history will be completed and the audiologist will want to hear about any complaints you have about your hearing. 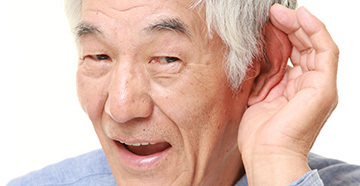 He or she will pay special attention to any concerns you have about exposure to noise, tinnitus, and balance problems. Make sure that you take a full list of any medications and supplements you are taking with you to your appointment. The diagnostic hearing evaluation is a good chance to establish a relationship with your audiologist. Our hearing professionals are dedicated to listening to your individual concerns to determine what is best for your unique needs. Above all, don't be afraid to ask questions. You will want to be clear on any information you receive so that you can be an active participant in finding hearing solutions that work best for you and your lifestyle. Take our hearing health test and start your journey to better hearing!